And thank you from the Chihuahuas too! Just a huge thank you today for everyone who jumped on board to help shout out about the free download of Sleeping People Lie last week. A massive 3077 readers downloaded – so wow! You exceeded my hopes and expectations by miles and miles and I am very grateful indeed.I do hope that you enjoy spending time with my novel. If it speaks to you, reviews on Amazon (.co & .uk would be fab! ), Goodreads, wherever, whenever, would be very much appreciated. Good morning, all! I am not used to being FREE. And since yesterday close to 1,000 downloads have gone out FREE! It is a strange experience, promoting your beloved work for NO MONEY AT ALL – when you are so used to standing in bookshops, chatting to folks who will happily pay for their summer read. So why do offer a freebie at all – when actually you really would like to be paid for your work? Well, the advantage of being with a small publisher is that you work very closely with the team and you definitely have a voice – plus, of course, the fact that they chose your work for publication in the first place. The downside is that they don’t have the huge PR machine of the mass market behind them so it’s up to us all to let folks know that the Summertime stable has over 80 books of real merit poised for discovery by YOU! 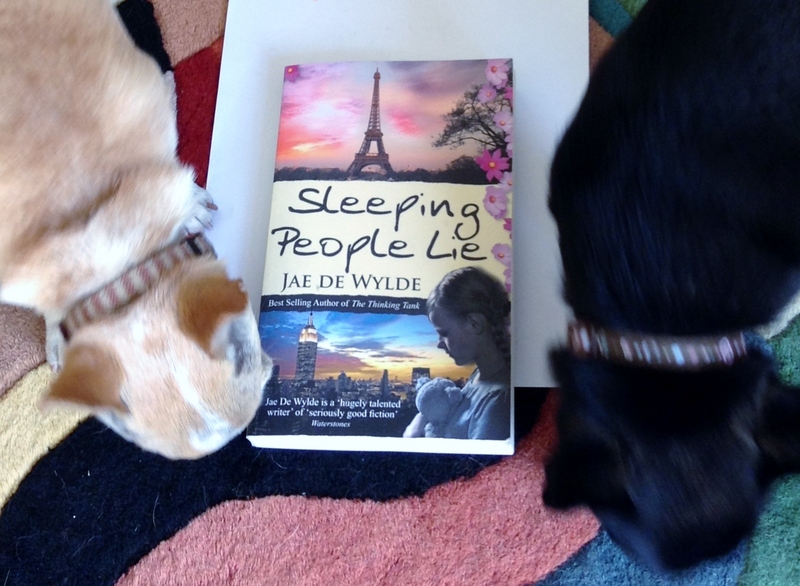 SLEEPING PEOPLE LIE FREE ON AMAZON NOW! 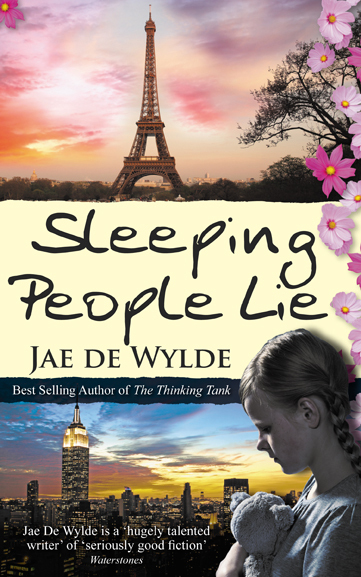 Sleeping People Lie is a Goodreads chart topper on Best Books To Read While Travelling. As I type, it is at #27 on Women’s Fiction and #34 in Contemporary Fiction on Amazon.com. It’s a love story with a dark edge, mystery woven in, plenty of twists and has great reviews. So what have you got to lose? 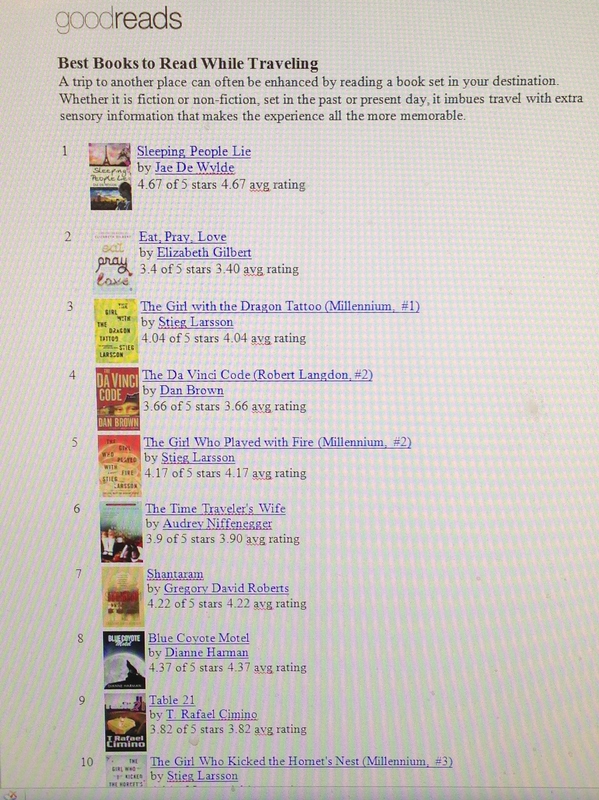 Top of the Goodreads Best Books To Read While Travelling chart for my book signing at Waterstones, Peterborough! to tell folks at my book signing in Peterborough last Saturday! 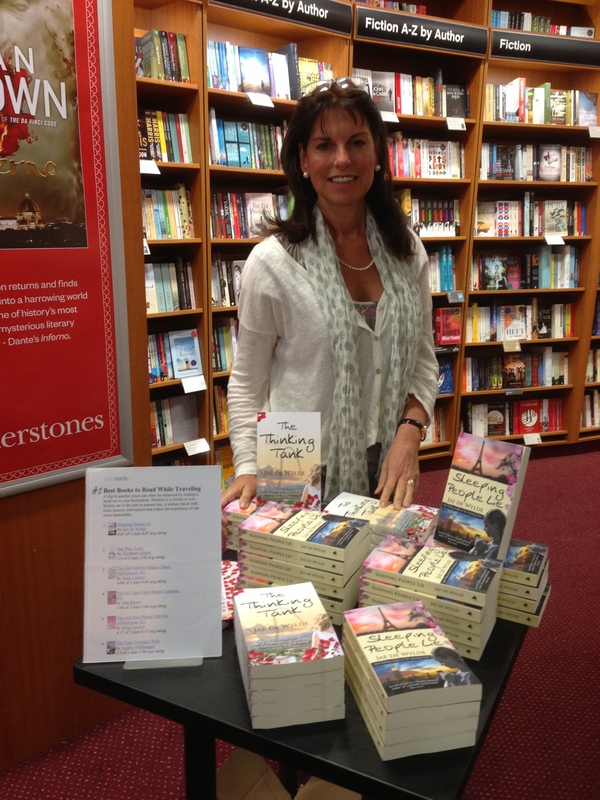 I am delighted that so many of my readers have loved travelling with my novels. I can just see you all, perhaps curled up in front of the fire in a country cottage in Devon or lying toasting on a beach in exotic climes – or maybe just whiling away the hours in an airport or train. But wherever my books have been your companions, near or far, I just want to say thank you so much for tucking them into your luggage. It’s a great chart to be on, with Paris and New York (as well as good old Stamford, England) the locations for Sleeping People Lie and Rutland, Spain the settings for The Thinking Tank, its lovely to know that travel-minded people have plucked them from the shelves. My novels are available from Waterstones, in branches and online and from http://www.amazon.com and http://www.amazon.co.uk (where you can check out reviews) in paperback and Kindle formats.